And all its complexities. "Simplified Chinese doesn’t equal accessibility." Weekend With Tracy Ma. Illustration by Anna Rupprecht. “Weekend With” is a new series that explores the world of design through the eyes of a designer on their days off. Our last installment took us gallery hopping with Zipeng Zhu. This week, Tracy Ma, visual editor for The New York Times’ style section, takes us on a personal tour through Manhattan’s Chinatown. I commute for work every day, so on the weekends I avoid the subway like the plague. This means my world is a 1.3-mile radius around my home in Chinatown. I wake up and roll down to XO Kitchen for a meal that my husband has dubbed The 3 x Carb Diet: fried noodles, plain congee, and deep-fried doughnut. Through the parts of the window not covered in their cool DIY promotions, you can see Hong Kong Supermarket across the street, the giant letters of its name spreading across a whole half block on a taut red awning. I’m not a big fan of Avant Garde Gothic, but it looks great here. Inside the supermarket are all my favorite snacks and spices, at unpredictable stock and supply. Or, if I feel like dim sum instead, I’ll saunter down Bowery over to Dim Sum Go Go. On my way there, I pass by Chatham Square, where you can see the windows of Foxy Productions on the second floor. I notice it because my friend Sara Cwynar made giant photos of me that hung there once, and because Foxy is one of the new, non-Chinese-owned businesses that uses Chinese as part of their identity design. While putting in a very large order at Dim Sum Go Go—turnip cakes, chicken baos, spring-rolls, veal, and dumplings (shrimp, mushrooms, duck, spinach, parsley)—I think about how Foxy’s identity is written out in Simplified Chinese. Simplified Chinese was invented in the 1950s by the People’s Republic of China; it’s closely associated with Mao’s Cultural Revolution. To me, the Simplified script alludes to—among other atrocities that feel intense to mention on a design blog—the erasure of history and a rejection of the Traditional form of writing. I grew up reading and writing Traditional Chinese because it’s still used in Hong Kong, where I was born. It’s also still used in Taiwan and Macau. Along with Hong Kong, these are the parts of China that have had some degree of autonomy from the Mainland’s political system. Most overseas Chinese communities predate the PRC’s formation—some by almost a century—so they also predominantly use the Traditional script. The facades of Manhattan’s Chinatown, as well as its paraphernalia, are emblazoned almost entirely in Traditional Chinese. It’s probably why it has always offered some comfort to me, and why Foxy’s Simplified Chinese identity stands out so much. I wonder why Foxy’s—one of many non-Chinese galleries to recently move into a neighborhood that has long been resistant to gentrification—is using Chinese characters in its branding? If it’s to appeal to its neighbors, it would be better off using Traditional Chinese, the clear preference among the local Chinese (who are not, by and large, the ultra-wealthy type from Mainland China who would buy big on the art market). Should this type of design be considered cultural appropriation, comparable to instances of “yellow face” or a regrettable lower-back tat? Should this type of design be considered cultural appropriation, comparable to instances of “yellow face” or a regrettable lower-back tat? After going for that last dumpling after all, I think further about how the art-world strives to create, in the words of the writer Lynne Tillman, a “continuity in value and taste.” It trades first and foremost on exclusivity. Does this art-world outpost have any business in trying to appeal, in mass, to the local Chinese community? I walk off the large meal down East Broadway. There is a vintage store I like; it’s on the second floor of an old mall. I am haunted by the memory of a jacket I saw there once and didn’t buy: an amazing Comme des Garçons with a perfect sailor collar, possibly from the ’70s, back when they still made their stuff in Paris. Next door to it is a bookstore called 2 Bridges Music Arts, another non-Chinese owned business that uses Simplified Chinese lettering as part of its identity. “Why did you use Chinese letterings as part of your brand?” I ask the beanie-wearing bro working there. “Look where we are,” he replies rhetorically. “But why did you use Simplified Chinese letters?” I ask. “But all the signs in Manhattan are in Traditional Chinese,” I say, stopping myself from giving a TED Talk right then and there on how Simplified Chinese doesn’t equal accessibility. I don’t linger for too long because I have an appointment anyway: a massage at Seasons, where I see Vicky. On another weekend, it could be a facial at BB Beauty, where I only go when Janet’s around. Or maybe I’d go see Jacky at J-hair. He nags like a typical Cantonese uncle: “You don’t cut your hair often enough.” When we first met, he thought I was a jūk sīng (American-born Chinese), but thought differently when he recognized my Cantonese. Like me, he also immigrated from Hong Kong, but in the ’70s. Afterwards, I grab a snack at a Cantonese bakery. 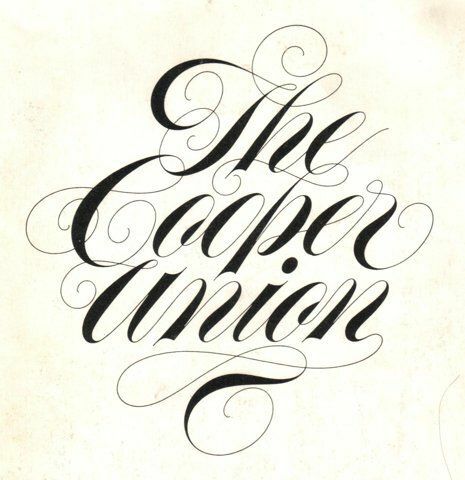 I’ve noticed that a lot of them use this type of swash ligature as part of their logo design. It’s unusual, as it is derivative of calligraphic type in Romance languages, and not a natural extension of Chinese written script. I recognize its reference at once, and am amused by how it’s permeated through time and space. It’s a knockoff of the Saint Honore chain of bakeries, which opened its first shop in the ’70s in Hong Kong. I distinctly remember finding its logo pretty as a kindergartener, tracing my finger along the glossy cake box. References like these, whether graphic or semantic, are prevalent in the Chinese diaspora. For example, there is a pharmacy called Mannings down the street, named after the Mannings chain back home. I distinctly remember finding its logo pretty as a kindergartener, tracing my finger along the glossy cake box. I take my snack down to my studio where I work on personal projects. I rent it from my landlord Irene, who is a powerful boss-lady and fellow Hong Kong immigrant. She’s operated a small vegetable stand for decades, and is now landlord to the two adjacent buildings. One night, peering into a storefront under renovation, she gossips to me about the growing price of rent. “It’s absurd,” she said. I wonder what she thinks of the signs that says “Food Stamps Accepted” in Chinese further up the street, and how jarring they look next to the fancy non-Chinese owned Martos gallery that opened in 2016. I wonder what her customers think of it. By the time dinner rolls around, we consider heading to the cluster of restaurants that has opened up around Dimes. We are repeat customers of nearby Forgetmenot, whose owners opened a Greek restaurant in 2015 called Kiki’s in a space that used to be a Chinese offset-printing joint. It has kept the original signage of the old printing house, and has jutted next to it, again in Simplified Chinese, a sign that says “Kiki’s Greek Restaurant.” The juxtaposition of the two signs—an old one of visible artistic merit, and a new one, so slap-dash and ugly—drives me against the wall. These days I can’t get over how, if not ignorant, then at least cynical and self-indulgent, it seems. I don’t really know “home” but I know the longing for it, how it manifests through shared signs and symbols. The conversations at the hair salon, the Chinese bakery font with added swash ligatures, the packaging on condiments, how my landlord gives me special treatment: all of these things telegraph a collective longing. I tell people that I identify as being from Hong Kong, because it is a neat, sufficient answer. In reality my upbringing is strictly Cantonese-Canadian. Overseas, these quotidian things get pressurized into gemstones. They make me feel seen, they mean “I got you,” a sort of antidote to every ounce of weird racist microaggression you’ve encountered. And somehow, living in Chinatown, bathed in a shared language of understanding, symbolic or spoken, mitigates some of the ways it could all curdle inside, like an intolerance to lactose. These new signs, put up by non-Chinese speakers, seem to miss this point entirely.